Spring cleaning? If so, you might want to mark April 20 on your calendar. On Saturday, April 20, Halton Region will hold the first of seven Special Waste Drop-off Days throughout the community. In 2012, 128 tonnes of electronic waste and 108 tonnes of household hazardous waste were dropped off at Halton’s Special Waste Drop-off Days. Special Waste Drop-off Days help make the recycling of electronic waste and recycling and safe disposal of household hazardous waste more convenient. The first event will run from 9 a.m. to 3 p.m. at Halton Regional Centre located at 1151 Bronte Road in Oakville. Halton already has one of the highest residential diversion rates in the Province. Single-family households continue to divert 60% of waste away from the landfill through curbside and special waste drop-off programs, up from 40% in 2007. 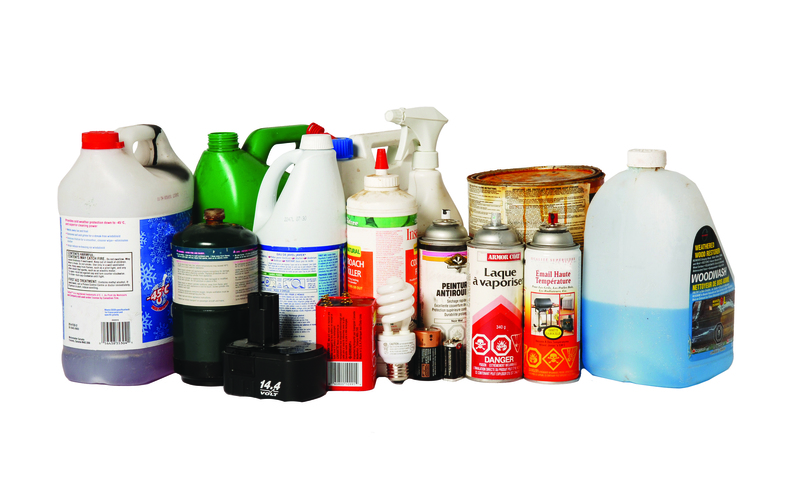 Household hazardous waste items, dropped off at Special Waste Drop-off Days, are processed and diverted from the landfill, helping to conserve one of Halton’s most valuable physical assets. By dropping off household hazardous waste and electronic items, we can help extend the life of Halton’s landfill, saving taxpayers $15 million. To learn more about Halton’s efforts to extend the life of the landfill and why it’s so important, visit the Halton Recycles blog. For more information about dates and times regarding upcoming Special Waste Drop-off Days and details about which items are acceptable for drop off, dial 311 or visit www.halton.ca/dropoff. Halton Region has now held six of seven Special Waste Drop-off Days planned for 2012 to make the recycling and safe disposal of household hazardous waste and electronic waste more convenient for residents. The events, held free of charge have been held at various locations throughout each of the four local municipalities in the Region. Recycling and the proper disposal of household hazardous waste and electronic waste are important to protecting the environment. Special Waste Drop-off Days were designed to provide Halton residents with a convenient opportunity to safely recycle and dispose of these items which should not be placed in the garbage. Accepted for drop-off, free of charge, include items such as pesticides, paint, motor oil, antifreeze, propane tanks, computers, stereos, TVs, DVD players and VCRs. No commercial waste products are accepted. A complete listing of acceptable and unacceptable items can be found at http://www.halton.ca/waste. 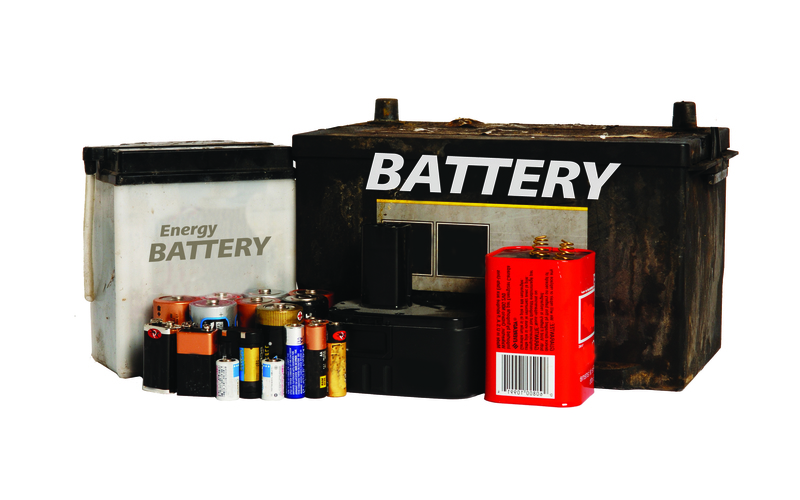 Residents who are unable to attend this remaining event may drop off acceptable household hazardous waste (20 L maximum) and electronic items (5 items maximum) free of charge, year round, at the Halton Waste Management Site, 5400 Regional Road 25, Milton, Monday to Saturday between the hours of 8:00 a.m. and 4:30 p.m.
Halton Region has held four of seven Special Waste Drop-off Days planned for 2012 to make the recycling and safe disposal of household hazardous waste and electronic waste more convenient for residents. The events, held free of charge, typically run from 9:00 a.m. to 3:00 p.m. at locations throughout each of the four local municipalities in the Region. Recycling and the proper disposal of household hazardous waste and electronic waste are important to protecting the environment. Special Waste Drop-off Days were designed to provide Halton residents with a convenient opportunity to safely recycle and dispose of these items which are often placed in the garbage. At the four Special Waste Drop-off Days held to date this year, approximately 51 tonnes of e-waste and 42 tonnes of household hazardous waste were collected from over 3,500 vehicles! This is a great achievement for Halton’s landfill site and the environment. Accepted for drop-off, free of charge, include items such as pesticides, paint, motor oil, antifreeze, propane tanks, computers, stereos, TVs, DVD players and VCRs. No commercial waste products are accepted. A complete listing of acceptable and unacceptable items can be found at www.halton.ca/waste. Residents who are unable to attend one of these remaining events may drop off acceptable household hazardous waste (20 L maximum) and electronic items (5 items maximum) free of charge at the Halton Waste Management Site, 5400 Regional Road 25, Milton, Monday to Saturday between the hours of 8:00 a.m. and 4:30 p.m.
To learn more about the Special Waste Drop-off Days, please contact Halton Region by dialing 311 or 905-825-6000, toll free 1-866-442-5866, TTY 905-827-9833 or visit www.halton.ca/waste. You can also follow Halton Waste Management on Twitter @HaltonRecycles and visit their blog at http://www.haltonrecyles.ca. As always, if you have any Regional concerns or comments you would like to share, please feel free to email me at gary.carr@halton.ca. You can also find me on Twitter @garycarrhalton or on Facebook. To receive further updates on Regional issues, please subscribe to my quarterly e-newsletter, “The Carr Report”.